Register Log In Vannin' Community and Forums Forums Wanted., Member only Section Wanted: Gas/Fuel tank for my 1974 Ford Van, E100, v8, 302. Where??? I'm trying to buy a replacement gas tank for for my 1974 Ford Van, E100, v8, 302. You need to get a 90's Cherokee tank. No one makes tanks for our vans and none of the Bronco or F100 ones fit. The only real mod you have to do is cut the filler neck down if I remember correctly. Trying to look through my saved files to see if I can find the exact info on exact year and what you need to do to the filler neck. Will update soon. I'm waiting... ;) Yes.. if you come up with a solution, please do let me know. Any more details on the Cherokee tanks? 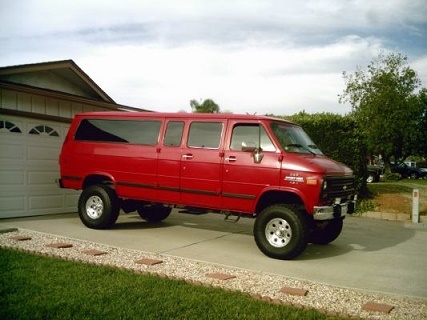 I'm in the same situation, looking for a replacement tank for a 1970 Econoline 200. I had heard whispers that the Jeep tank was a match, but honestly this is the most detailed info I've found yet, so thanks already! Edit: After a quick search, it looks like Jeep used the same tank through the entire 1990s. And, I'm just guessing, probably for their entire 2nd gen line from 1984-2001. Last edited by EliMakes; November 08th 2018 12:38 pm. I needed a fuel tank for my 1974 E200. I read this thread and ordered a 90s Jeep Cherokee tank. It wasn't even close. The tank stuck down below the rear bumper! I ended up going the 'Red Kote' way and coated the inside of my old tank - so far so good! This is what I used for my 1970 E300. I had some pictures and description on the Econoline site that is gone. Spectra Premium F15A Fuel Tank for Ford and FG72A sending unit. I had to modify the tank a small amount with a big hammer only at the top side where it sits against the undercarriage. I used a couple of 90* elbows for the filler hose and routed them to the stock fill. The breather hose was the tight and more difficult part but managed to squeeze it. I also modified the holding straps making them a bit longer. Works great!